We're in the year 2023. Oil is getting depleted on our planet. However, mobility will continue to exist, it needs to. 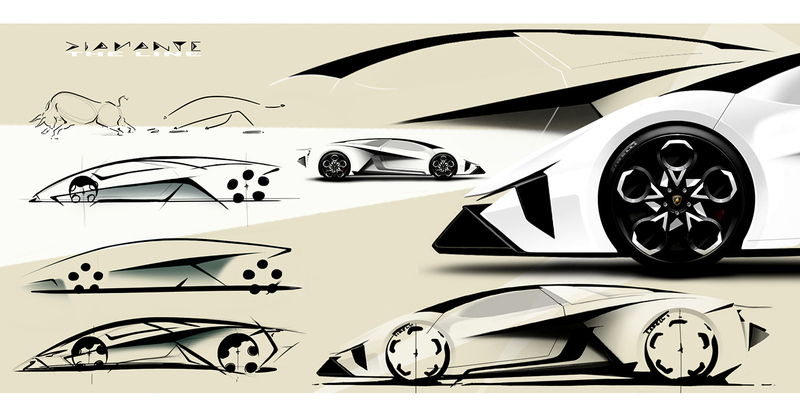 Such mobility not only includes boring electric vehicles for the city but also supersportcars with alternative drive systems. 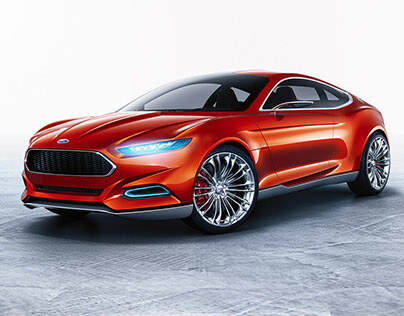 Flat, fast, extreme – cars that still set everyone in the mood for mobility without having a bad conscience – such as the eco-friendly Diamante Concept Car. 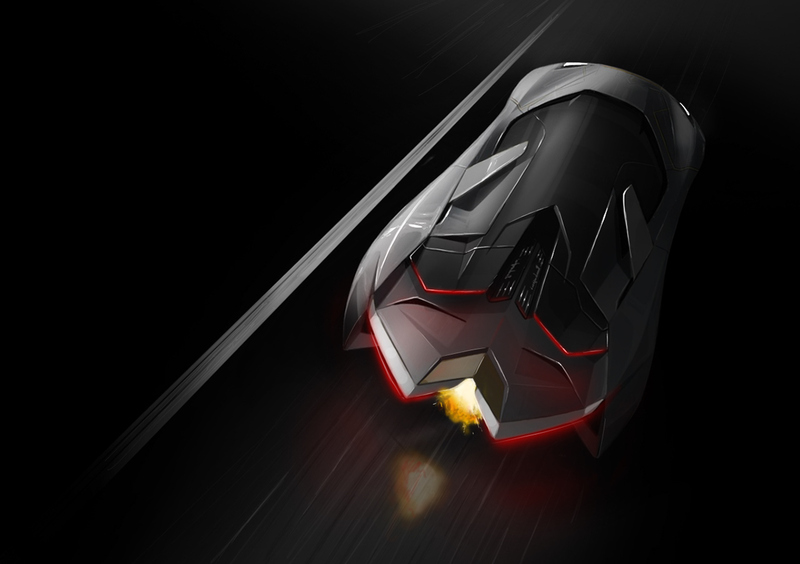 This concept combines exclusivity and extremes in one single supersportcar. The name says it all. 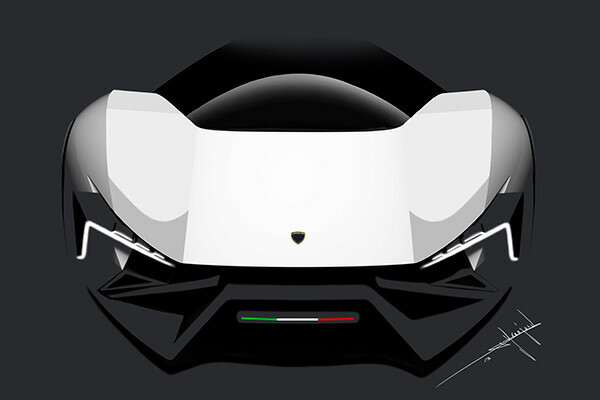 The most valuable mineral in the world stands for luxury, but also for naturalness, pureness, hardness and beauty – exactly as the dream car with the white collar. Its extremely flat silhouette is flanked by sharply outlined edges, the curved surface appears to be unpolished, rough, precious. 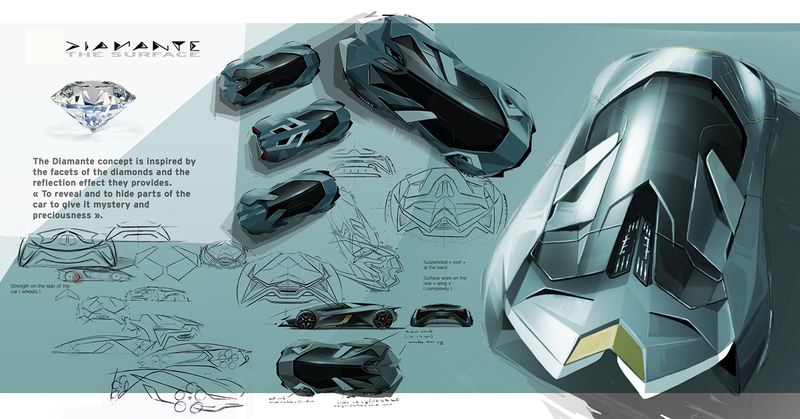 The aerodynamic system uses movable wings to allow the car to adapt itself to the situation, and to get as close as possible to the most aerodynamic shape with its windscreen design ( forming one continuous line with the bonnet ) and its back end ( using movable wings ). The commercial describes the genesis of the octahedron-shaped crystal in an abstract way: Formation, birth and a travel to different places. This way the original issue of the 3D visualization has been turned into a benefit for the design approach. For today's clientele which is to buy tomorrow's supersportcar. 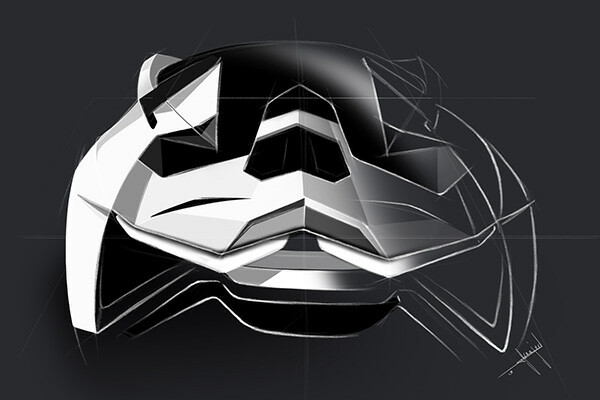 Inspired by the lines of an aggressive, powerful, attacking bull ( for the lines of the car ) and by the cut of a Diamond ( for the surfacing of the car ). 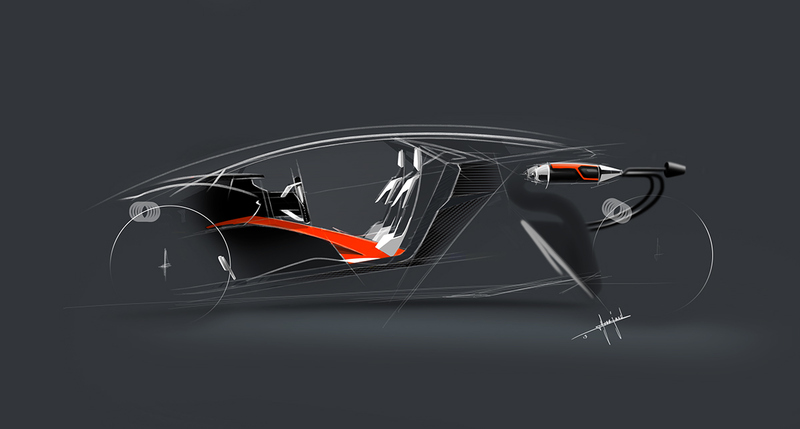 The concept is "Human Inspired" for the interior, and offers a new extreme interaction system between the center console and the driver/passenger. 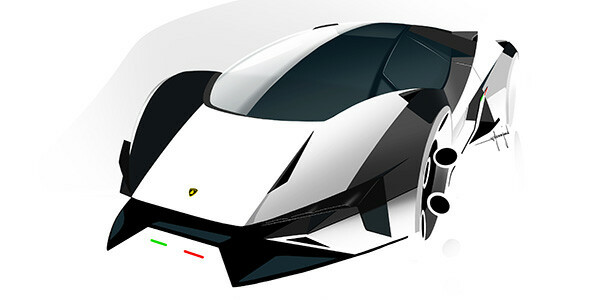 The concept developed for the year 2023 ( 60th anniversary of the brand Lamborghini ) uses two Micro Jet turbines ( range of fuels including diesel, bio-fuels, compressed natural gas and liquid petroleum gas ) that produce energy ( through the generator ) for the batteries ( 15 kWh Lithium-ion batteries, 165Kg ) - ( has a range of 900 km or 150 km all electric ). 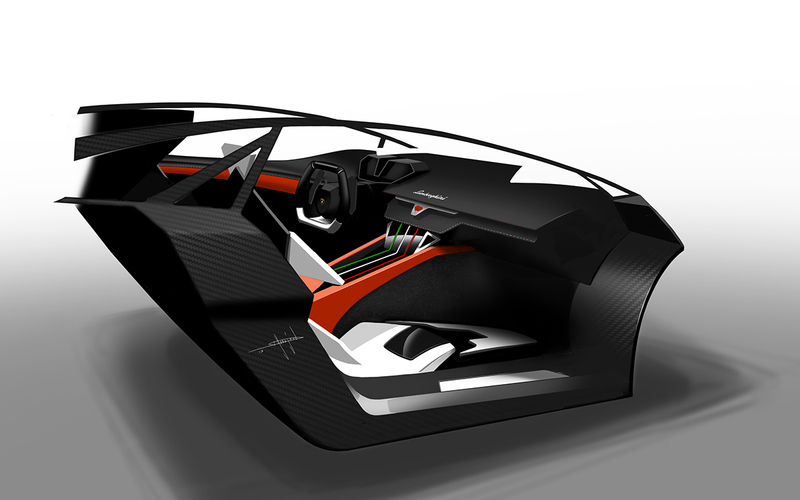 The car uses 4 individual electric motors ( 45 kg each ) producing 800 BHP and 1600 Nm torque ( independent driven wheels ). It also uses a Kers system ( 120 kW, 165 BHP ), the energy received from breaking is transfered to the batteries. 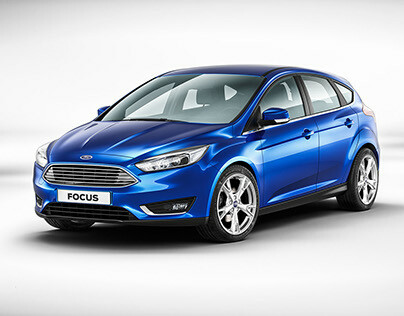 The car produces in total 965 BHP. 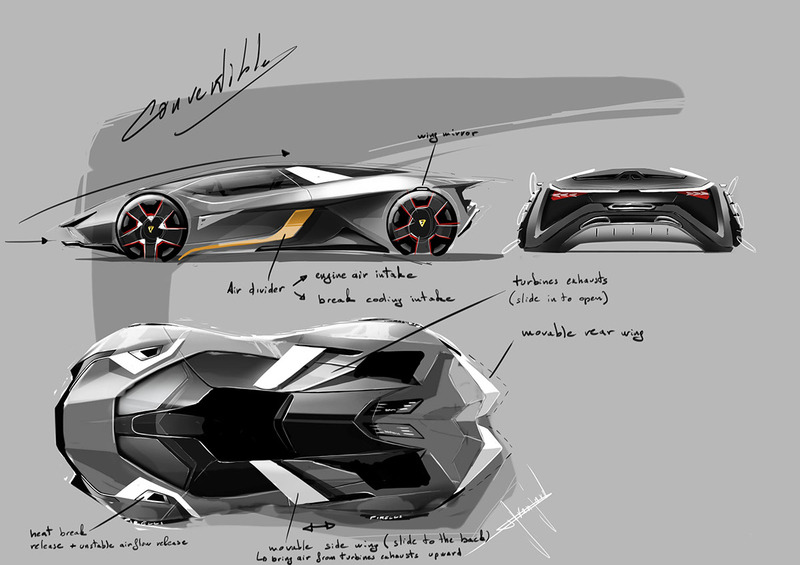 Disclaimer: The concept vehicle designed by Thomas Granjard and visualized by Lean Design GmbH was not undertake in connection with or is in any way authorized by Automobili Lamborghini S.p.A.
Lamborghini Centenario LP 770-4. 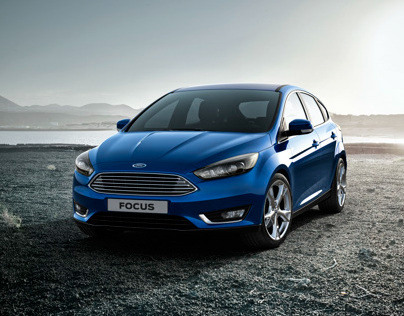 Perfection Forged. Ford Focus Sport "Red & Black"